In case you think I just go to fine dining events, think again! 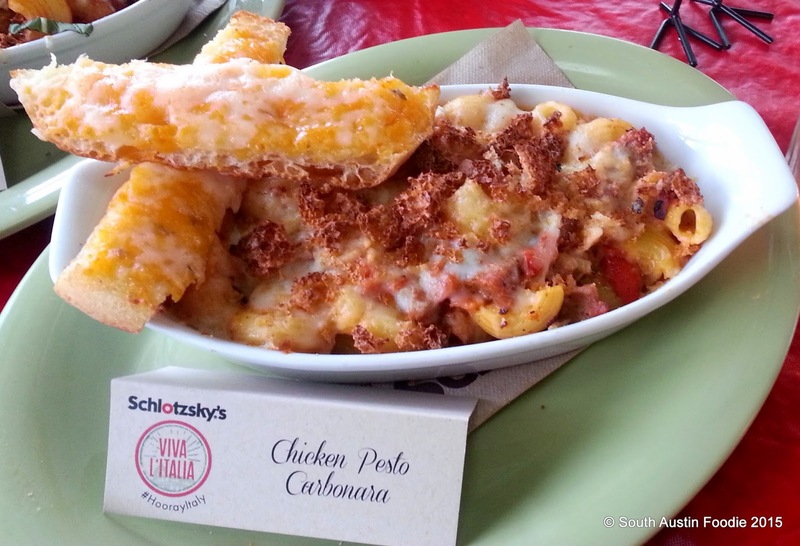 I was invited to a preview of the new Schlotzsky's menu items at their flagship store at 218 South Lamar. 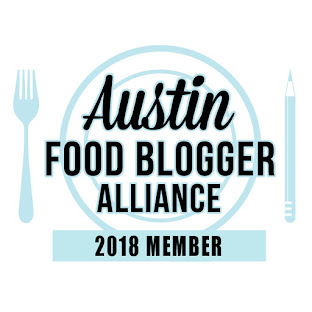 This homegrown Austin chain welcomed local food and mom bloggers with open arms, and presented us with a huge amount of tasty new foods. 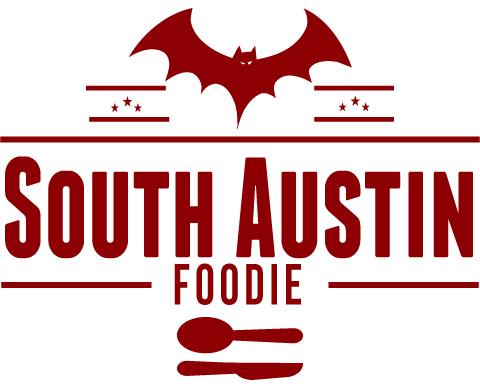 And the new items are available in almost all locations, not just here in Austin! The "funny name, serious sandwich" folks are now embracing their inner Italian food lover, with new pasta and even more specialty sandwiches. 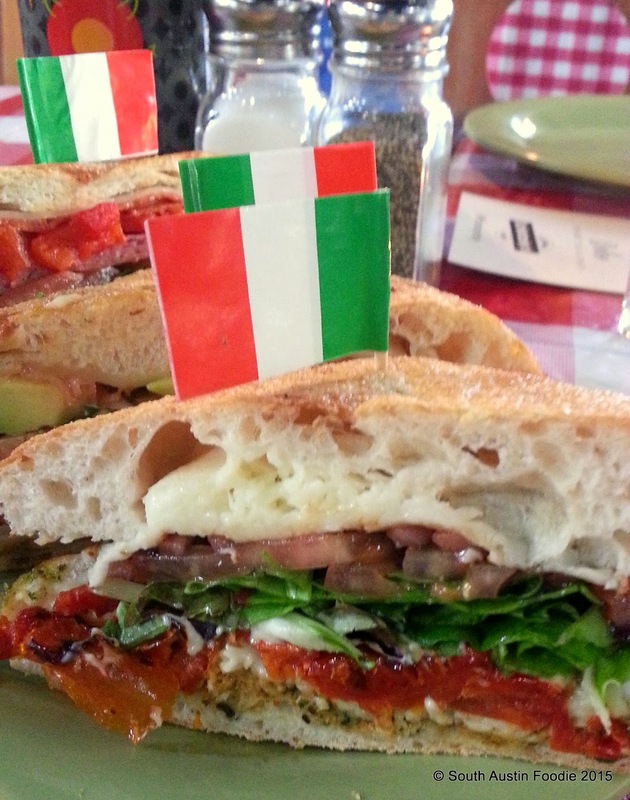 Here's a look at their Viva L'Italia menu. The oven-baked pastas include Bayou Chicken, Chicken Pesto Carbonara (my favorite! 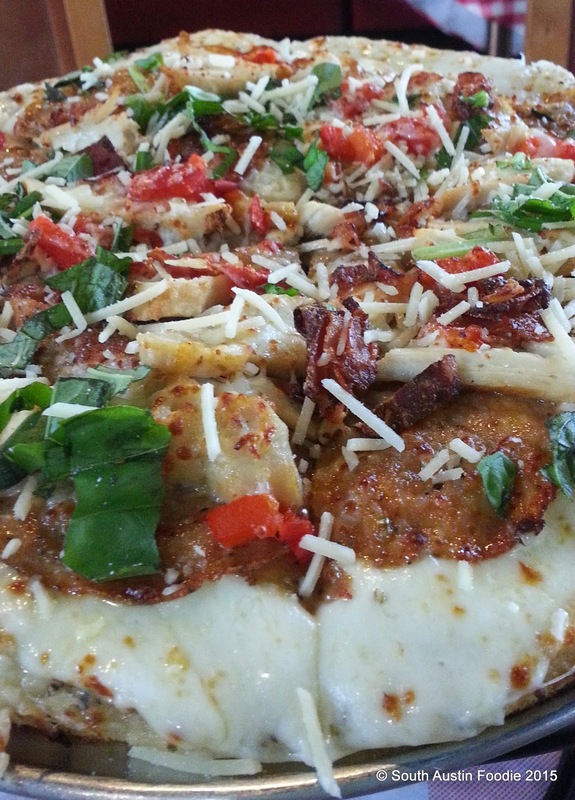 ), Tomato-Basil (vegetarian), and Sausage with Peppers and Goat Cheese (my very close next favorite!). They sprinkle cheese and breadcrumbs made from their signature sourdough buns on top and run them through the oven so they get nice and crispy on top, just like homemade, and if you're dining in at Schlotzsky's they're served in actual dishware, not disposable. These were impressive; you do not feel like you're dining at a "fast food" establishment. The new sandwiches are all done on a tender ciabatta bun (as opposed to their signature muffalata-esque sourdough). 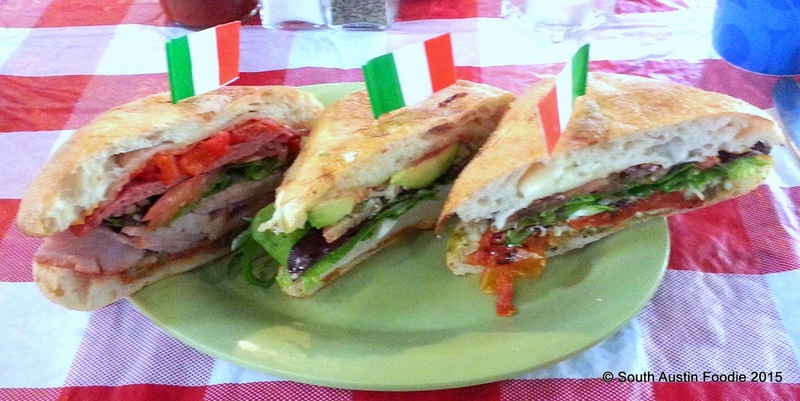 My favorite was the Caprese, a vegetarian option (yes, me the pork-lover loved the vegetarian!). Stuffed with tomatoes, lettuce, mozzarella, and basil pesto this sandwich was absolutely packed with flavor. The other two (and still quite good) are the Sicilian with lots of meats, and the Tuscan, with turkey. 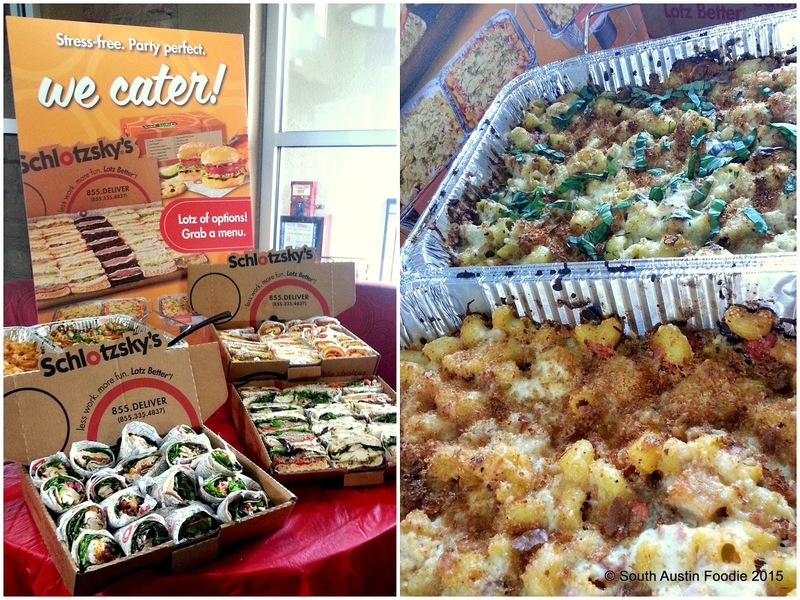 I was invited by Schlotzsky's to try their new menu items; I was not paid for my opinions or any social media posts.